This is what I opened on Christmas from Santa. When I saw it under the tree on Christmas morning before church my husband said it was a letter to tell me I was too naughty and wouldn’t be receiving a gift this year. 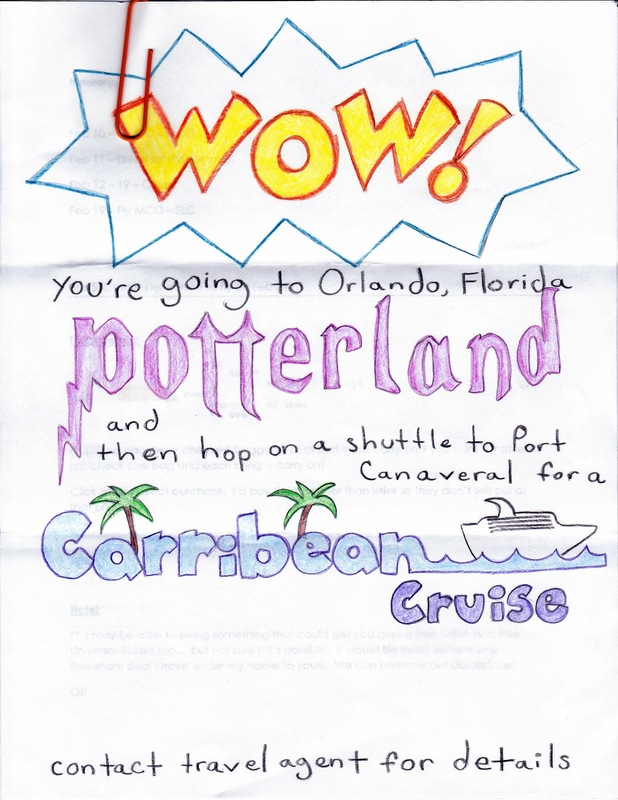 I’m so thrilled to be going on a vacation to Harry Potterland (you know how huge that is for me!) and a cruise. 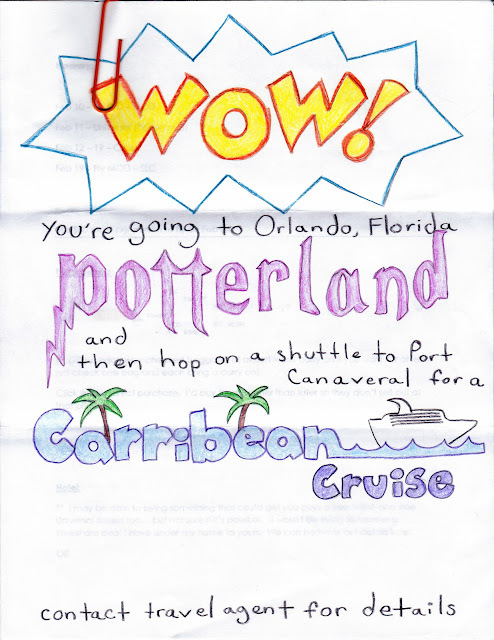 (and umm the travel agent is ones of my best friends who is not really a travel agent but rather a scheming partner) Woohoo. I am so so excited. That being said I’ll be gone long enough that it will impact my shipping time line on orders. Last day to order to have items shipped before I leave will be January 20. Orders made between January 21st and February 21st may experience up to an additional 2 weeks on top of the normal turnaround time. Of course I’ll try to get as much done before I leave and as quickly as I can after I return but I wanted to give myself a decent buffer so no one will be surprised. And just in case anyone was planning on ordering for February or the beginning of March I wanted give people plenty of warning . I am currently seething with jealousy! I’m so excited for you!! That’s probably the most amazing Christmas gift ~ and I’m a wee bit jealous! :) Have a great time!! I know I’m so so excited. i was kinda feeling burnt out and I think just being able to look forward to this had been the best remedy ever. I’ll try to have enough fun for all of us. OH goodness how wonderful! I have an idea who that scheming friend was!! Maybe a college roommate?? Super awesome! Lucky duck! Enjoy every minute.